Earlier this month, C8 held our client Virtustream’s inaugural EMEA PR/AR Summit in London. 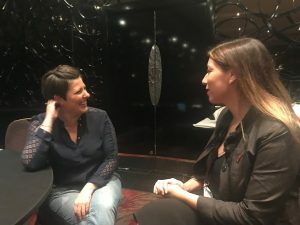 The Dell Technologies business and vendor of cloud management software, infrastructure as a service (IaaS) and managed services to enterprise-sized customers, was keen to introduce an audience of journalists and analysts to the company to showcase its cloud technology and discuss growth plans in EMEA. After months of preparation, we were immensely pleased to welcome 16 journalists from the UK, France and Germany from a wide array of tech B2B publications. All had expressed an interest in cloud technology, and a curiosity in multi-cloud specifically following the release of the Forrester research paper titled “Multi-cloud Arises From Changing Cloud Priorities”, commissioned by Virtustream in July this year. With journalists from UK publications such as Government Computing, Datacenter Dynamics, Enterprise Times, MicroScope, Channelnomics, bobsguide, Architecting IT and European titles including Funkschau, Le Big Data and Cloud Computing Insider, the turnout was a roaring success. 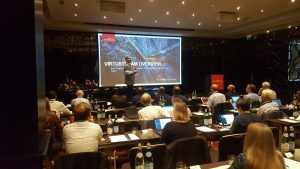 Hosted in central London at a luxurious hotel, The May Fair, journalists settled into the keynote theatre where Virtustream’s CEO Rory Read spoke about multi-cloud’s game-changing role in the industry and discussed growth plans for the company. Deepak Patil, Virtustream’s SVP of Product and Engineering, told journalists: “We want customers to feel we are uniquely dedicated to their happiness.” He added that the success of Virtustream[KO1] thus far is due to “a decade of work by hundreds of people who have grown up in the cloud”. Discussing Virtustream’s focus in EMEA, Roberto Mircoli, CTO, spoke about its attention to developing mission-critical apps and growing its customer base in highly regulated industries, such as government and healthcare. With a focus on channel, SVP Strategic Alliances, Christina Colby, spoke about Virtustream’s global strategic alliances strategy and plans to build its relationships with partners. Guest speaking at the summit was Lauren Nelson, Forrester’s Principal Analyst and private infrastructure-as-a-service (IaaS) cloud lead, who delved deeper into the changing cloud priorities of enterprises. Slotted in between the thought-leadership talks, a series of 1-to-1 press interviews took place with Virtustream’s executives. This gave journalists the opportunity to delve deeper and ask questions to further their understanding and gain key insights to share with their readers. In the evening Virtustream hosted a dinner for press and analyst’s at Hakkasan, an award-winning, Michelin Star Cantonese restaurant located in the heart of Mayfair. C8 was thrilled to host the first Virtustream summit and we are confident this will help Virtustream to foster many long-lasting relationships with press attendees. Capturing key sound bites, we have already secured some excellent coverage in Channelnomics, Channelnomics EU, CRN, MicroScope and Architecting IT, and we eagerly await more.